Swivels into landscape or portrait mode. Though the suction pad feels sticky to the touch, it will leave no residue when removed. Also included is an adhesive dash disk for a more permanent solution. Quick mounting system that locks and releases your phone with just one push of a finger. Fully adjustable with 360 degree rotation for quick portrait and landscape views. Trending at C $10.14eBay determines this price through a machine-learned model of the product's sale prices within the last 90 days. It won’t block your sight when you are driving and it won’t occupy too much space of your car. It can hold your phone firmly whether it is thwart,upright or diagonal. Simple design.Easy to install. 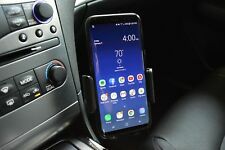 Arkon’s MG279 sticky universal suction car mount expands to accommodate all smartphones with cases up to 3.6” wide, including iPhone X, iPhone 8 and 8 Plus, 7 and 7 Plus, iPhone 6S Plus and 6S, iPhone 6 and 6 Plus, Samsung Galaxy Note 8 and Note 5, and Galaxy S8, S7, and S6. Cushioned side arms provide extra protection for your Samsung Galaxy devices. Fully adjustable with 360° degree rotation for quick portrait and landscape views. Easy mounting system quickly and securely hold onto your phone with one button quick release function. Fully adjustable with 360° degree rotation for quick portrait and landscape views. Easy mounting system quickly and securely hold onto your phone with one button quick release function. Cushioned side arms provide extra protection for your phone or devices. 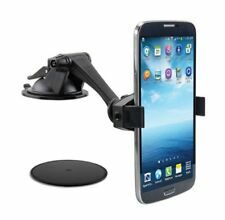 Extendable Car 360° Dash Windshield Phone Holder Mount for Apple iPhone 7 8 Plus. 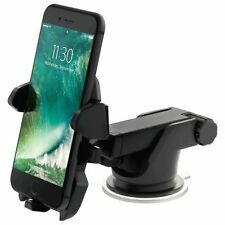 1 x Extendable Car 360° Dash Windshield Phone Holder Mount for Apple iPhone 7 8 Plus. Fully adjustable with 360 degree rotation for quick portrait and landscape views. Quick and simple mounting system that locks your phone with just a push of your finger. Fully adjustable with 360 degree rotation for quick portrait and landscape views. 360° degree adjustable rotation for quick view changes. Cushioned side arms provide extra protection for your Samsung Galaxy devices. Adhesive gel pad sticks securely to most surfaces, yet is still easily removable and reusable by simply rinsing in warm water. Sticky suction mount base provides a maximum bond on smooth and textured surfaces. We cancel orders that violate CA Proposition 65. We may cancel Freight Forwarders. Except to APO/FPO PO Box HI/AK. 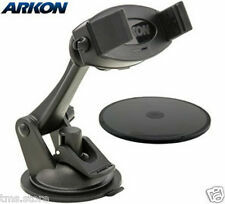 ARKON MG279. Arkon’s sticky suction mount is ideal for hard surface car dashboards, windshields, and other flat or slightly textured surfaces. The car dock’s base uses a powerful combination of polyurethane gel and suction to provide a maximum surface bond. Fully adjustable with 360° degree rotation for quick portrait and landscape views. Easy mounting system quickly and securely hold onto your phone with one button quick release function. Cushioned side arms provide extra protection for your devices. 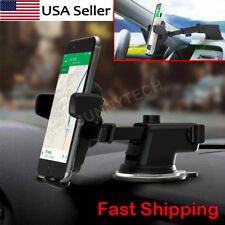 Universal Car Windshield Dash Mount Cell Phone Holder Stand for iPhone 6 7 Plus. 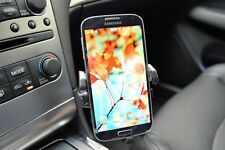 1 x Universal Car Windshield Dash Mount Cell Phone Holder Stand for iPhone 6 7 Plus. Fully adjustable with 360 degree rotation for quick portrait and landscape views. Fully adjustable 360 degree rotation for quick changes in viewing angle. Easy one touch mounting system locks and releases your phone with just a push of a finger. Trending at C $21.70eBay determines this price through a machine-learned model of the product's sale prices within the last 90 days. Adjustable 360° degree rotation for quick portrait and landscape views. Cushioned side arms provide extra protection for your iPhone 8 and 8 Plus. Easy to set up and ready to mount and securely hold onto your phone. Cushioned side arms provide extra protection for your iphone devices. Easily and quickly mount, securely hold onto your phone with one button quick release function. Adjust viewing angle 360° degree rotation for quick portrait and landscape views. 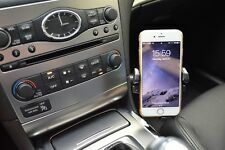 1 x Universal Car Windshield Dash Mount Cell Phone Holder for Apple iPhone SE. Cushioned side arms provide extra protection for your iPhone 8 and 8 Plus. Easy to set up and ready to mount and securely hold onto your phone. Easy one touch mounting system locks and releases your phone with just a push of a finger. Adjustable foot allows access to all your devices ports. Product includes a. Adhesive gel pad sticks securely to most surfaces, and is easily removable and reusable by simply rinsing in warm water. · Sticky suction mount base provides a maximum bond on smooth and textured surfaces. · 2 year limited warranty.